I picked this little gem up at Trader Joe's over the weekend, and all I can say is YUM!!! I haven't had orange cream soda in a loooooong time, and as this one was conveniently labeled "vegan" by the awesome folks at Trader Joe's I decided to treat myself. 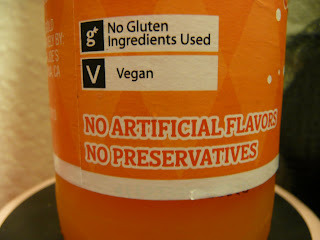 I love how Trader Joe's labels all their vegan products with a "V"! 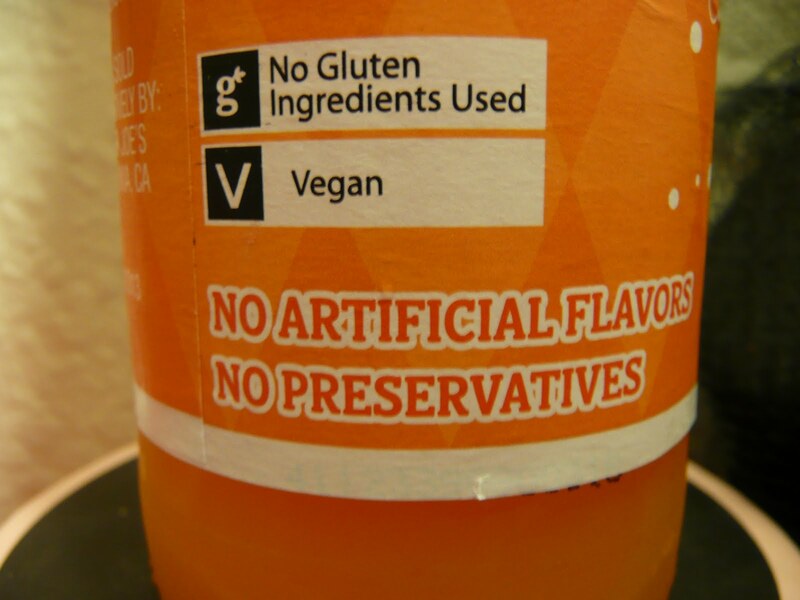 Not only is this soda vegan, it's also made with pure cane sugar instead of the nasty stuff usually used in sodas. Woo hoo! The taste is just delicious, refreshing and simply nostalgic, making me think of the cream sodas I used to drink during the summertime as a kid. 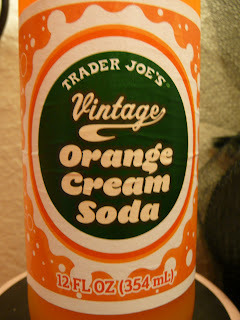 If you are lucky enough to have a Trader Joe's in your area, I highly recommend this tasty treat!